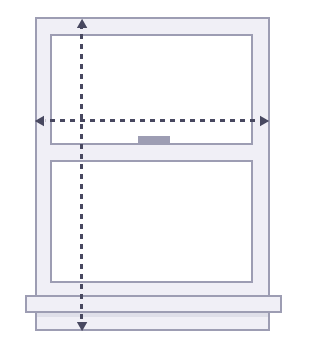 Decide whether the blind will go inside the window frame or outside. Given a choice an inside fit is most popular as it frames the blind & is also less likely to become damaged. Scan the window. Check for any handles, joinery etc. that may interfere with the blinds in the now proposed position. 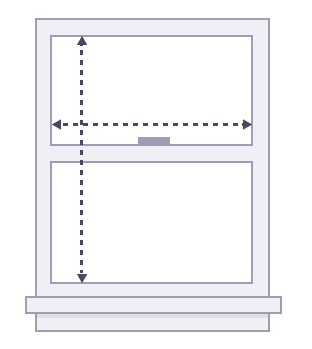 Take a steel measuring tape or laser and measure each window width first, then drop (in mm please). It may be worth checking the width at the top, middle & bottom of the window. Where you have a variable please supply the narrowest measurement. As you measure make a note of which side you would like the controls for each blind. You will need to take your measurements from inside the frame if that is where you want your blinds to sit. Supply outside measurements if the blind needs to be mounted outside the frame. In either scenario please provide your true measurements – we will make the necessary allowances when we manufacture to ensure they fit. Are you ready for us to quote or do you have some questions? If you are in Christchurch we are happy to visit you to provide a free measure and quote.